Tattoos date back over 12,000 years, but Maine’s tattoo history goes back to 1925 with Peter D. Jongeleen’s “Electrical Tattooing” shop in Portland. Once popular with outlaws and sailors, today, about one in five people have at least one tattoo. Maine has over 200 licensed tattoo parlors scattered across the state, so you have your choice of artists. Here are 10 of the best! Home to arguably one of the best tattoo artists in the state, Phuc Tran, Tsunami Tattoo was born in 2003 when Tran and his wife moved from New York City in search of “The Way Life Should Be.” With decades of experience, Tsunami Tattoo pledges to provide each client with the best tattooing that they can perform with a great customer experience. Located in the heart of Portland’s historic Old Port, Wicked Good Ink was recently nominated as one of the best tattoo shops in the city by the local magazine. The shop is well known for creating completely custom tattoos based on your ideas and even has a pretty rad customer rewards program. When your logo features Paul Bunyan, then you know you’ve got a pretty awesome place! Diversified Ink in Bangor is home to seven incredibly talented tattoo artists. Owned by Ed Sheffer, Diversified Ink also displays local art in the studio and occasionally hosts drawing classes open to the public. Windham Tattoo & Body Piercing has been a local Windham favorite for over 14 years. With thousands of designs and options to design your own custom tattoo, there is a reason people keep coming back to these guys. 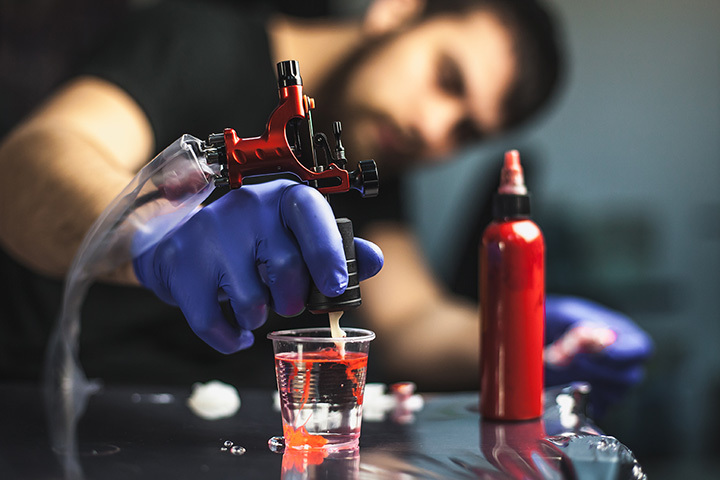 With locations in Ogunquit and Portland, Almost Famous Tattoos & Piercings has five different artists to help you create the perfect custom tattoo. Both locations provide predesigned and custom tattoos and piercing with exceptional customer service. House of Ink in Benton provides only the most professional environmental using hospital grade sterilization to give you the perfect tattoo. Whether you’re coming in for new ink or a cover-up, the tattoo artists are fully qualified. Offering over 10,000 unique designs, House of Ink can also create custom designs based on your wants. Open six days a week, BB’s Tattoo Co. in Newport has over 15 years of experience and has won multiple awards over the years. With a professional and clean environment, you can expect only the best designs and customer service from these guys. Opened in 2010 by Alison and Justin Wheeler, Siren Song Tattoo is one of the best tattoo parlors in Midcoast Maine. Both Justin and Alison are talented artists and are more than happy to create the perfect tattoo designed based on your ideas. Located in Sanford, Venom Ink Tattoo is a full-service tattoo and body piercing studio. Owned and operated by Chad and Kelly, Venom Ink has four additional talented tattoo artists in house. With decades of experience across the team, you know you’ll get an incredible custom tattoo here. Opened in 2009 in Portland’s Old Port, Ryan and Jennifer Wilson have growth this popular tattoo parlor from a small shop to one of the most popular in Portland. With a motto of providing quality tattoos in a professional and clean environment at a fair price, ‘Til Death has a loyal customer base.